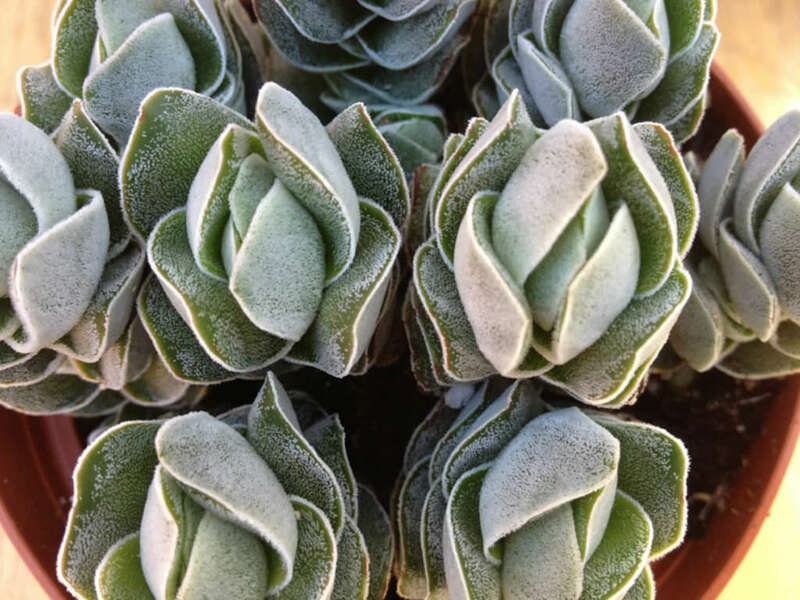 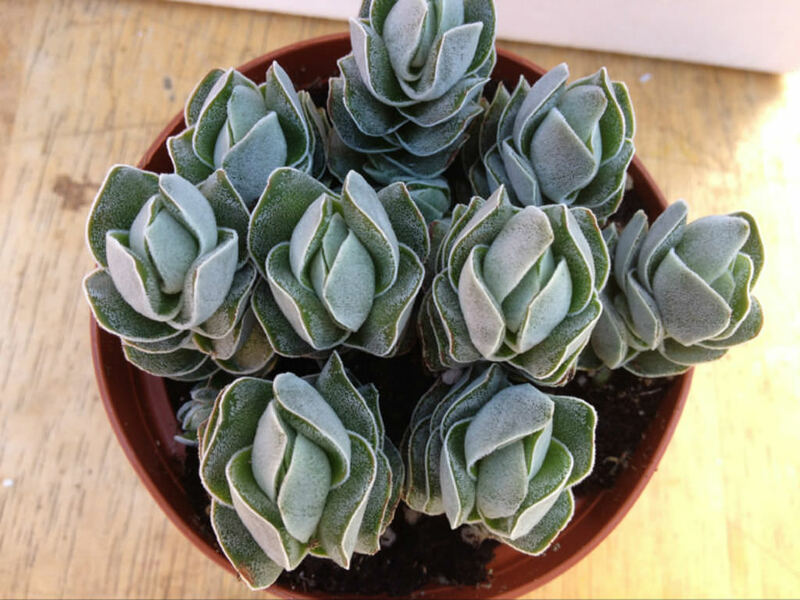 Crassula ‘Ivory Pagoda’ is a very slow growing hybrid between Crassula falcata (Crassula perfoliata var. 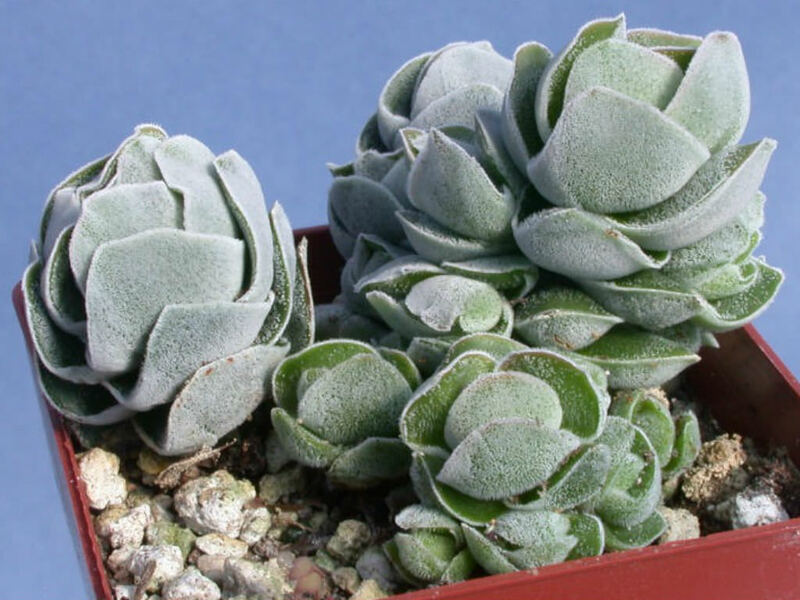 minor) and Crassula barklyi made by Myron Kimnach from the USA (1962). 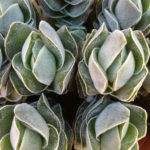 It forms very special ivory columns which keep their color best in strong sunlight. 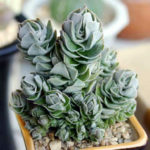 After some time young shoots develop at the base of the plant to fill up your pot nicely. 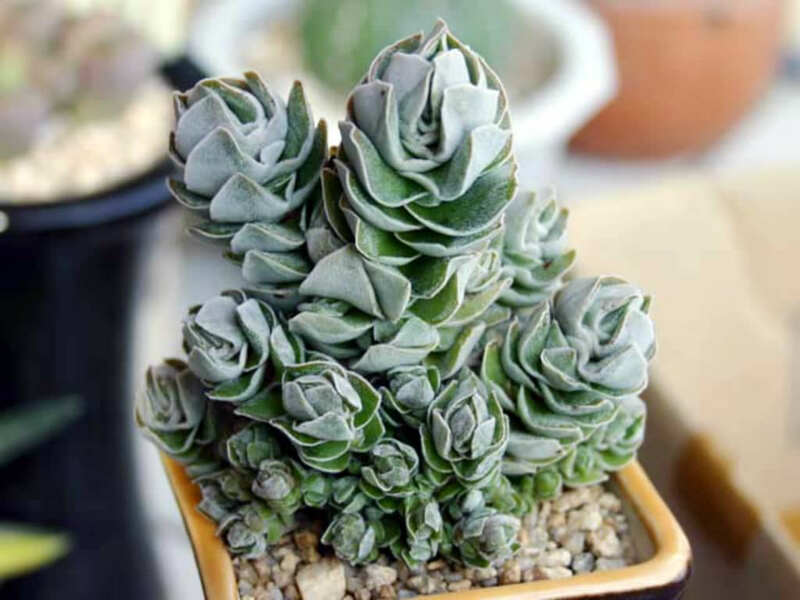 Hybrid of Crassula falcata (Crassula perfoliata var. 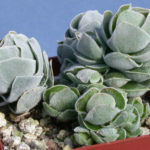 minor) and Crassula barklyi.